Product information "Crane scale KDW"
The calibratable crane scales KDW are reliable, easy to operate and suitable for industrial use. 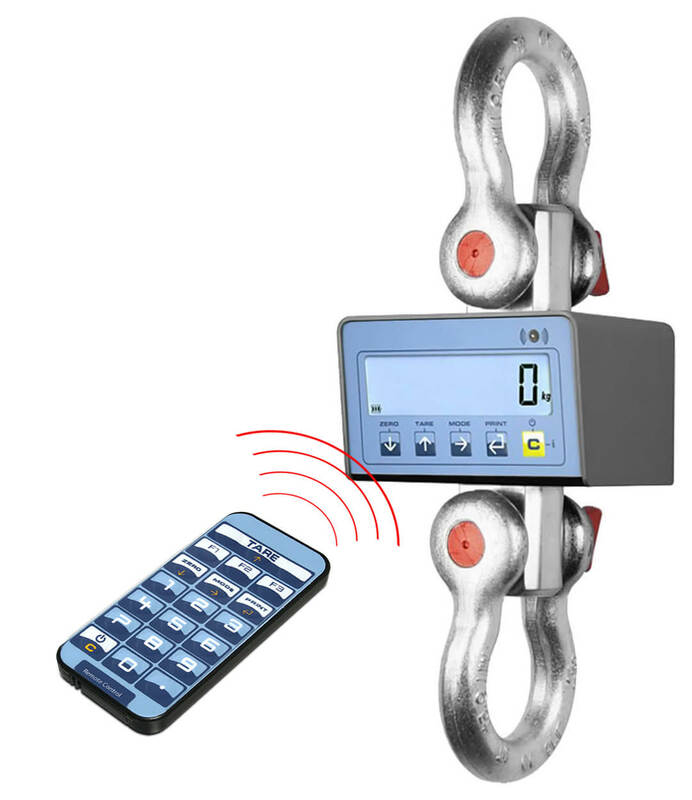 You can hang this modern and mobile weighing system to hooks of a trolley or crane. The scales combine reliable, easy operation and precision, all at a low purchase price and require practically no maintenance. They are solid and reliable and are suitable for both indoor and outdoor use. The fact that they are compact, lightweight and no mains connection is needed (battery operated) makes them extremely mobile and quick to move from location to another. Crane scales are extremely robust and easy to use. The weight is determined by a load cell for a highly accurate and reliable reading. Rugged, enamelled steel housing. The robust shackle ensures that the optimum load is applied to the load cell. A bright, backlit 25 mm display ensures excellent readability of the weighing results. A remote control, which permits operation from a distance of up to 8 m, is included as standard. A storage or carrying case is included as standard. Power is supplied to the crane scales by 4 AA type batteries, (battery charger not included in the scope of delivery), operation approx. 40 hours (without wireless transmission). The crane scales of the KDW series are calibratable according to the requirements of the International Organisation of Legal Metrology (OILM) and comply with the guidelines for accuracy class III. 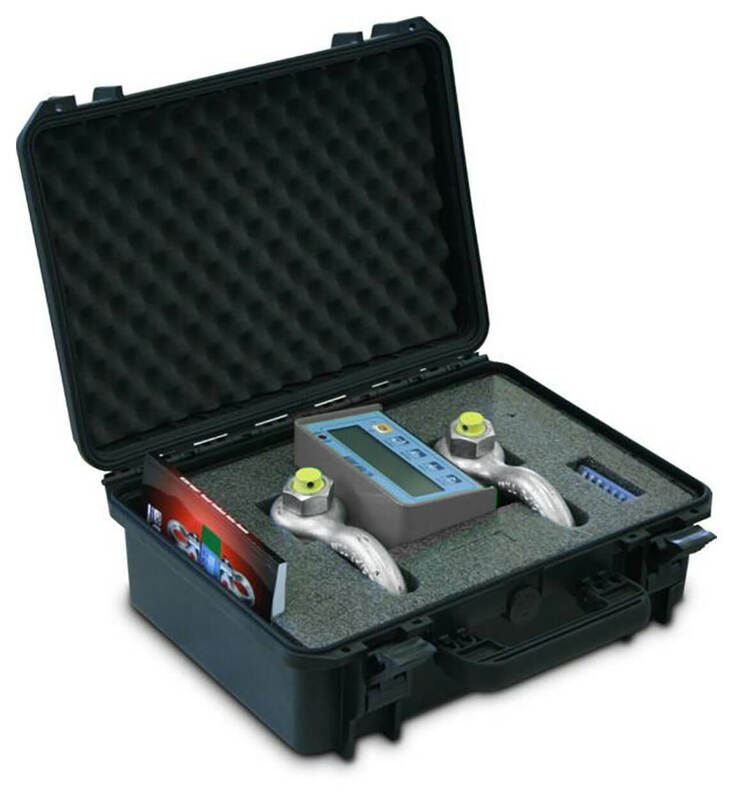 For applications that require legal metrology, please order calibration at the same time. Calibration at a later date is not possible! The KDW crane scales are triple range scales. In the case of triple range scales, the scales switch automatically from the smaller to the next largest range when loaded. When you reset the scales to zero, the scales do not switch over automatically to the smaller increment. Hold function: When the weighing value remains unchanged, the weight indicated on the display is automatically "frozen" until you press the HOLD key. This gives you enough time to read the weighing value without rushing. Tare function: Reset the loaded scales to zero (e.g. deduct the weight of a container). After this, only the actual added or deducted weight is displayed. Weight totalling, percentage weighing Input/output. Peak value (for determining the highest weight). Net/gross. Sensitivity HR x 10. Related links to "Crane scale KDW"